Sport Passport is a sport skills learning and assessment platform, commissioned by Sport Wales and launched in 2016. The launch of the application focused on swimming. 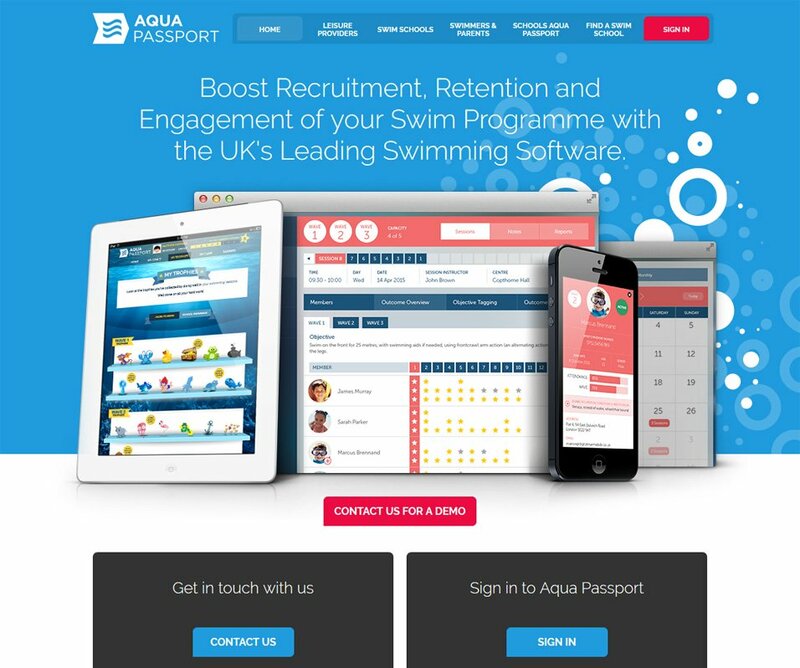 AquaPassport, the learn to swim framework, already has over 100,000 participants across England, Wales and Scotland. This project has been shortlisted for Technology in Sports Awards for the second year running. 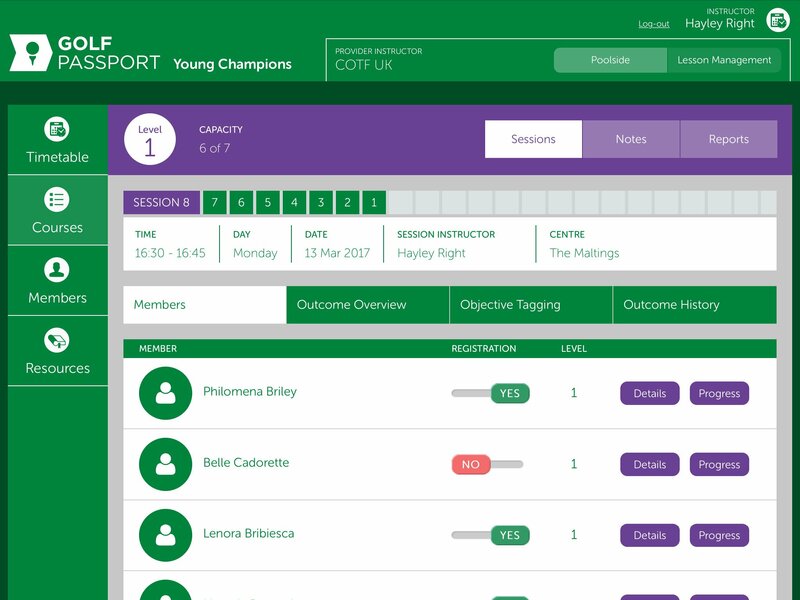 Sport Passport is a multi-sport learning platform that enables learning providers to manage all aspects of a sport’s learning programme including course creation, member management, scheduling and reporting. 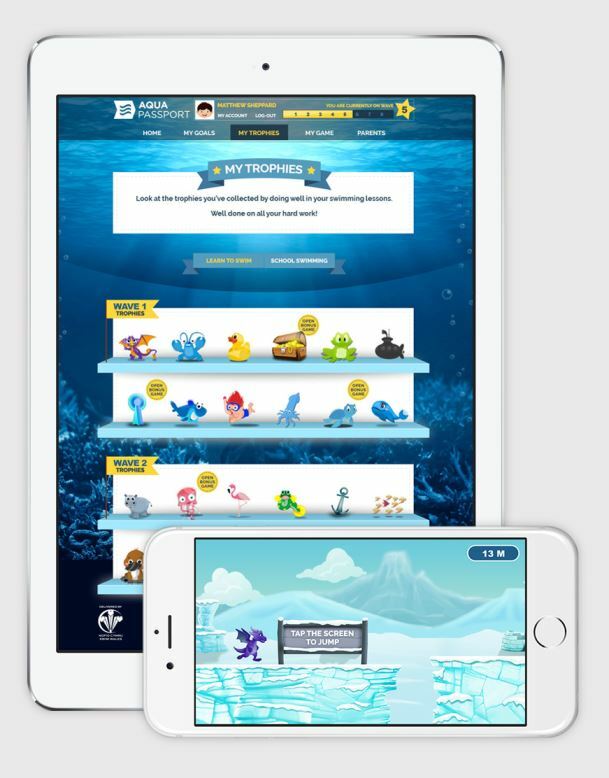 The learning process has been gamified to make it more enjoyable and engaging: members unlock games and prizes as they progress. The platform has been designed to be flexible enough to create bespoke learning frameworks across multiple sports. The course creation tool allows up to 10 skill levels comprising of up to 15 objectives within each to be created. Participants are assessed via instructor apps against each objective - they must be awarded 3 stars for each objective before it is deemed complete. Skill demonstration videos for each objective are included and made available to both the participant and the instructor. Lesson management tools provide authorised administrators with the facilities to schedule courses, co-ordinate instructors, timetable training centres and manage students at all levels. The powerful course scheduling tool allows for repeated fixed time and day sessions, as well as intense crash courses. It can facilitate courses that cater for multiple skill levels across a number of centres. Extensive, real-time reports are provided for each sport within the Lesson Management application. Individual student progress, level completion, and course attendance are all recorded. Specific course reports include attendance, capacity and retention data. Learning provider’s can filter member data by status, gender, age, school year and course level - this data can then be exported and used in targeted email communications or campaigns. At a country level, local authorities can access reports on all students within their region for both national learning programmes and school national curriculum courses. Students are assessed by instructors using poolside, pitchside or courtside applications. These applications provide instructors with daily, weekly and monthly course timetables; student registration and assessment tools; student profiles and progress reports; and learning resources (videos, courses schemas and FAQs). The applications are designed to be responsive and work across all devices and operating systems. Included is a ‘caching mode’ which ensures that apps work seamlessly in wifi free zones. Additionally each learning provider has a set of app styling tools which provide the option of aligning the look and feel of the app with their company’s brand identity. The learning process has been gamified to reward students as they progress through the levels. Each student is issued with a Sport Passport ID, which provides access to their personalised website. As stars are earned and objectives completed games, trophies, puzzles and prizes are unlocked within their website. Progress through both bespoke courses and National Curriculum school courses are measured and displayed. Parents can also monitor their child’s progress across all the sports they are enrolled in and review the supporting skill’s training videos to help their child overcome any objectives they might be struggling with. Digital Marmalade’s work has exceeded our expectations. We commissioned them to build us a sport learning and development platform and had a tight deadline to do so. Marcus and his team not only delivered on time but delivered a product that is better that we had imagined in terms of functionality and design. We will only now use them for all of our future digital platforms and would highly recommend them to anyone who is looking for a company they can rely on, has high levels of creativity and will in the end, deliver great end products. Alongside the extensive lesson management application, instructor assessment apps and member websites it is also a marketing website for each sport. 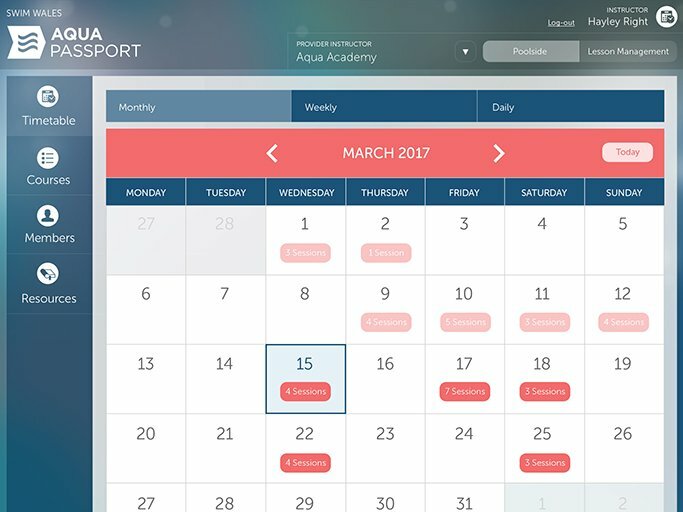 The sites allow visitors to find local facilities and providers that use the sport passport learning platform. The fully responsive, multi-language, content managed website provides the gateway into each sport’s learning programmes as well as support information to encourage parents and schools to sign-up. The platform also caters for school learning programmes, with courses set-up to assess national curriculum objectives. Extensive school and curriculum reports are generated in real-time and are aggregated by national regions to meet local authority requirements. Student and parents can monitor the progress of both curriculum and bespoke courses, with separate puzzles and game rewards for each. For the second year running Sport Passport is a finalist in the Sports Technology Awards, an internationally-recognized mark of excellence for technology-led innovation across sport worldwide.